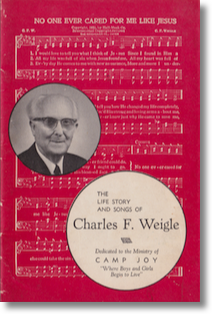 Here is the life story and music of Charles Weigle who wrote "No One Ever Cared For Me Like Jesus" as well as many other beloved hymns. Note: This is a non-searchable pdf created from page scans. Some original pencil markings in the book were retained. This file is 4.2 mb.